In order to optimize Internet browsing, but also save some bandwidth, browsers have developed the cache. In this cache, the browser saves all items that can be reused multiple times, such as images, scripts, style sheets, and so on, so you do not have to re-download them for futur navigation, this also allows a more optimal page loading time, because the recurring elements necessary for the display of the pages are already loaded. As a result, you save on bandwidth, browsing speed and you save money if you pay your internet for data. A site that you visit often, such as your email service, your social networks, or others, are faster to access and less greedy in Data. Style sheets are files that govern the display of a Web page, their colors, their elements, the cohesion of fonts. Images are also saved locally on your computer to avoid picking them up every time. As with all good things, there is one side of the coin. The cache actually has two disadvantages. It occupies the memory on your disk. The more you visit different sites, the more the cache occupies memory, and fills your disk, which is not to your advantage if you already save a lot of data, and you need space. This is still a minor problem. 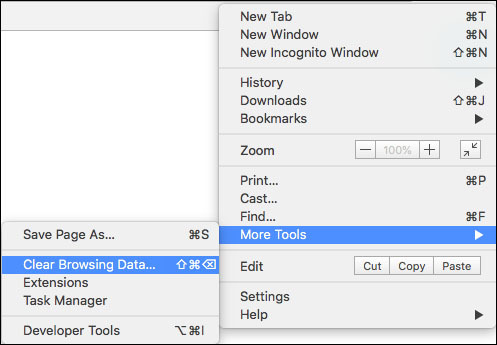 By storing scripts and style sheets in the cache, the browser uses them when you return to a site. But if it has had an update of scripts, styles or images, it is the versions saved in your cache will be loaded ... you do not see the good content! This sometimes leads to bugs, page display problems, or the incorrect loading of the pages you visit. And it is for these reasons that it is necessary to empty the cache from time to time, to ensure better navigation, enjoy your favorite sites up to date and most importantly, avoid bugs, which can be quite restrictive. 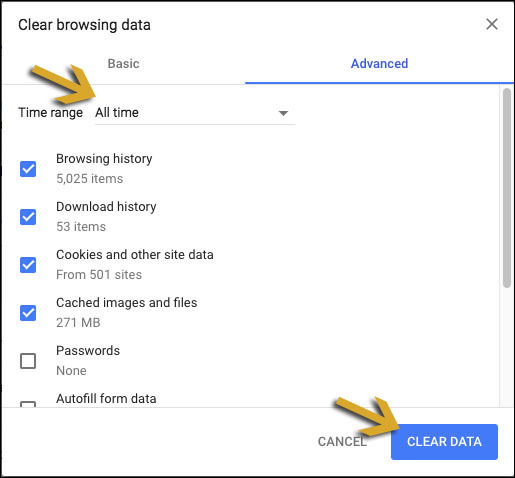 Click More tools-> Clear browsing data. In the time range choose All time. Check the boxes "Cookies and other site data" and "Cached images and files"
In the Cached Web Content section, click on Clear Now. In the Tools menu (gear), select "Internet Options"
Choose the options you want to delete, then click "Delete"
That's it, now you know how to clear your history. It’s a small text file saved in your computer, which keeps some useful information to optimize your Internet browsing. This information allows for example to complete your information entered, such as your name, your first name, your nickname, etc., in a form on the Web, or maintain your connection open to a site. During your first visit to a website, it will announce that a cookie will be saved on your computer, the latter is necessary to record certain information that will optimize your navigation, so you avoid for example identify each time you return to it, to choose some options like the language of posting, or to write entirely your information on the forms. To save time, that's exactly what you need. However, not everything is so rosy, if you hear people moaning about cookies, it's not for nothing. Indeed, these cookies allow many sites to monitor you, know your preferences, display highly targeted advertising. These cookies allow third-party sites to make money through your personal data they record. Although cookies do not necessarily communicate certain confidential personal data, they have certain advantages, however, like the cache, the fact of not removing them may slow down your browser, as there will be data to analyze. Also, the recorded data is somehow sold to sites, usually e-commerce, but not that, in order to better target you to sell their products. To clear your cookies, simply follow the detailed methods to clear the cache above, they are the same to clear your cookies. Cached data, as well as cookies, are data that greatly enhances the Internet browsing experience, however, they may degrade it beyond certain limits and under certain circumstances of use. It therefore becomes necessary to get rid of it periodically in order to always enjoy the Internet more optimally.